Blackberry Cream Pie is a very easy and delicious pie to make. 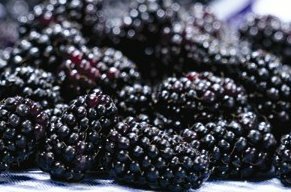 Take advantage of those fresh blackberries in your local market during the summer months. It is also delicious and mouth-watering when you use fresh wild blackberries. During the winter months, use the frozen blackberries. This pie is a great way to indulge in dessert while still getting your fill of summer fruit. I often use a purchased pie crust when I am in a hurry when making this BIackberry Cream Pie. * If using frozen berries, thaw and drain all juice before mixing. ** Sour cream may be substituted. Preheat oven to 400 degrees F. Prepare pie pastry; line pie plate with pastry. Place blackberries in unbaked pastry shell. In a large bowl, combine eggs, sugar, flour, salt, vanilla extract, and cream; pour mixture over the blackberries. 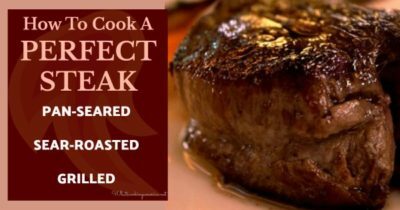 Bake for approximately 30 to 40 minutes or until the internal internal temperature registers approximately 175 degrees F. on your cooking thermometer and the crust is nicely browned and the filling is set. Remove and oven and let cool slightly. Pie is best served slightly warm.